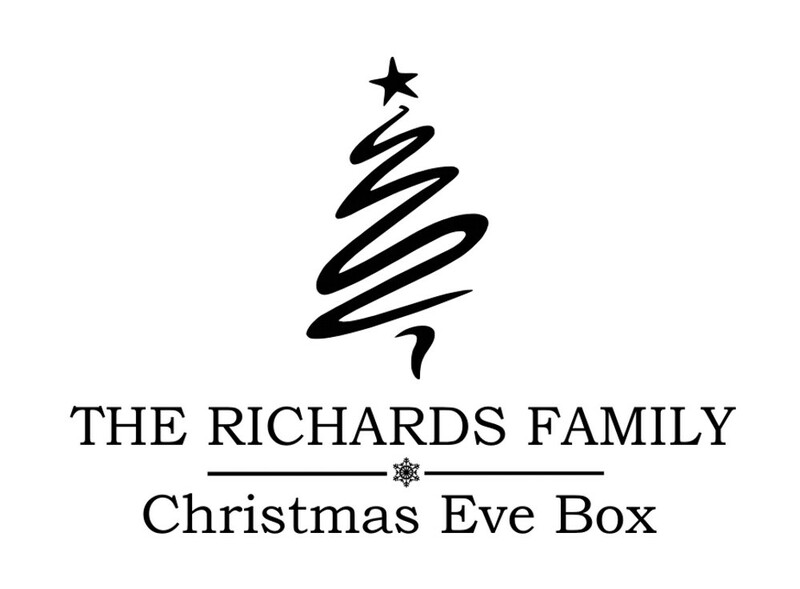 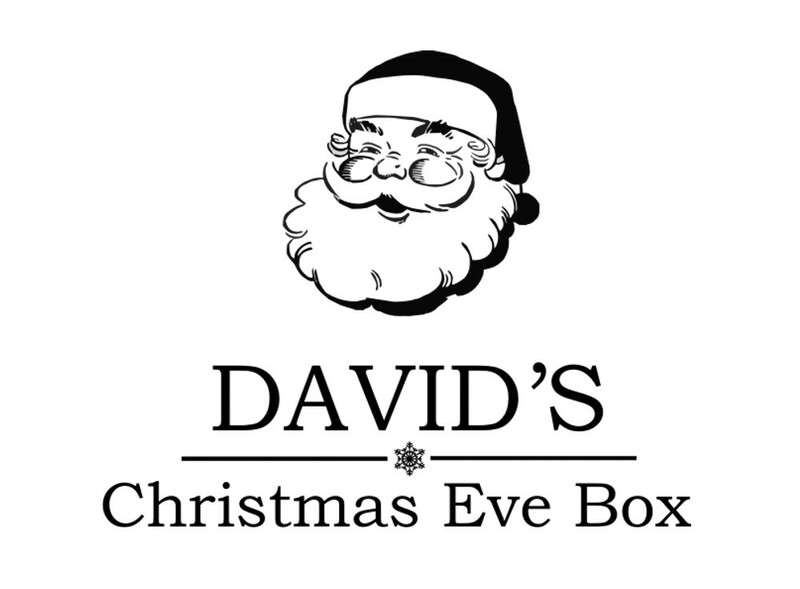 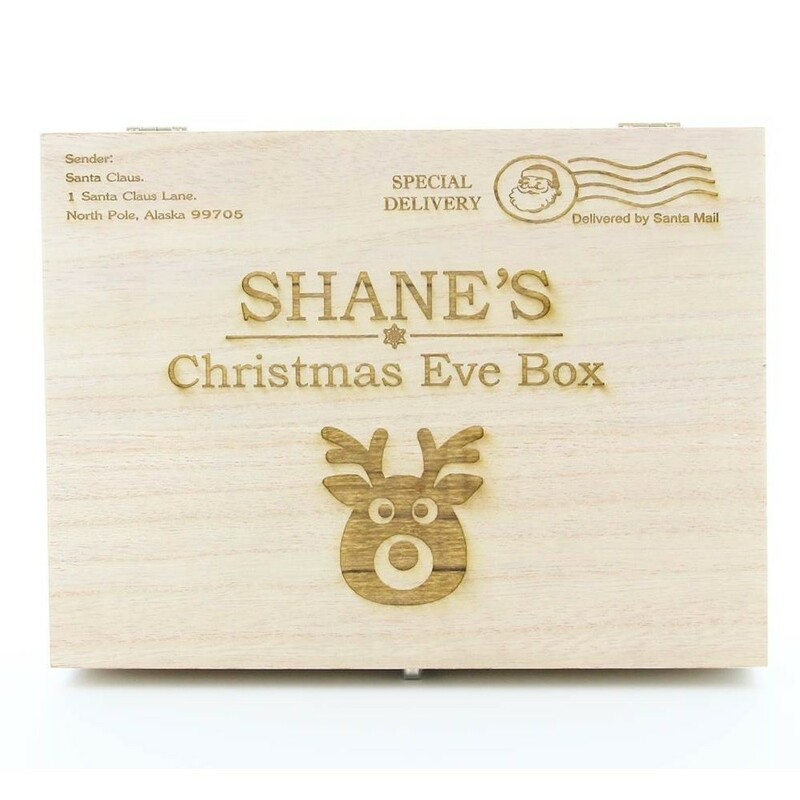 Personalised Engraved Wooden Christmas Eve Box. 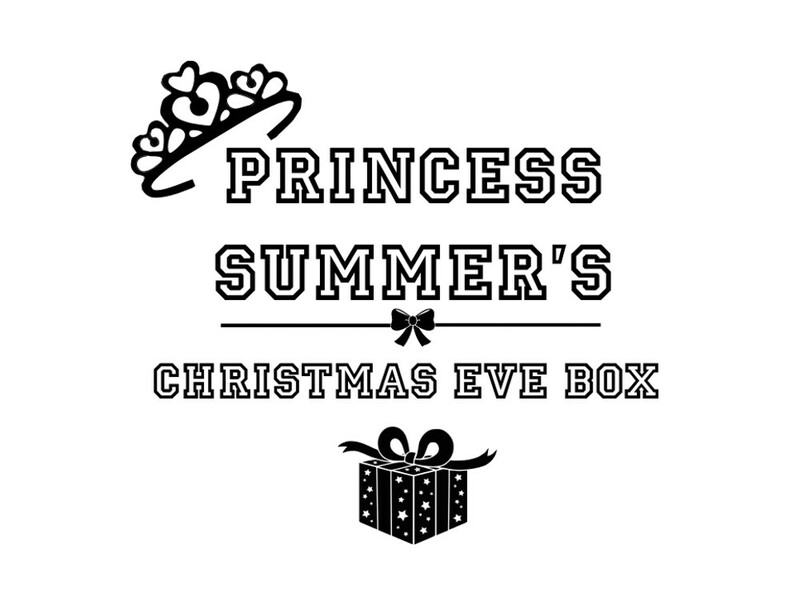 An amazing keepsake for the night before Christmas to be used for many years to come! 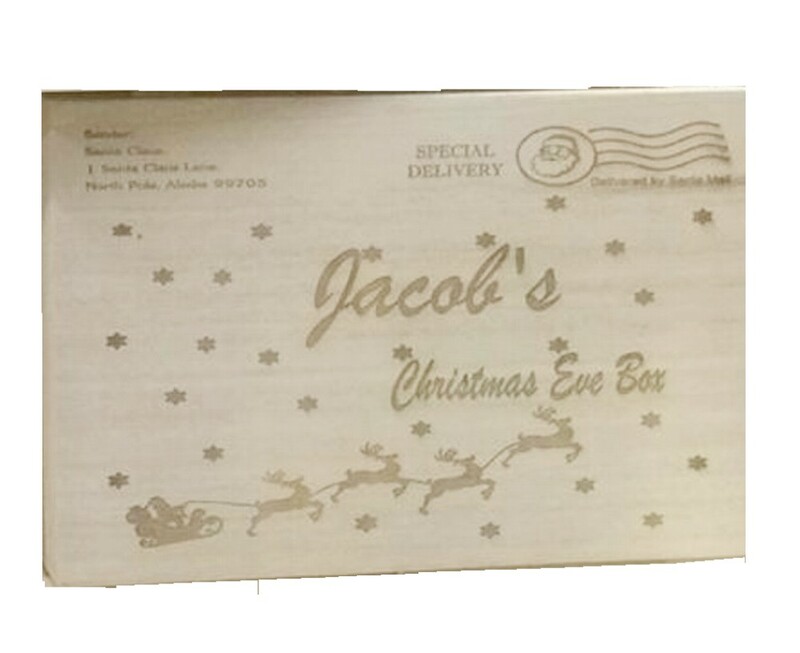 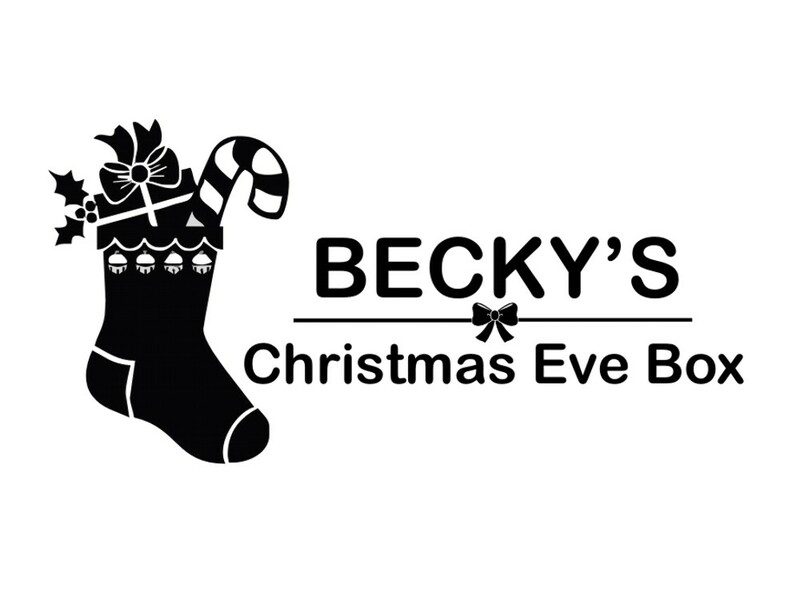 It measures 28 x 21 x 15 cm, perfect size to fit all of your Christmas Eve necessities in. 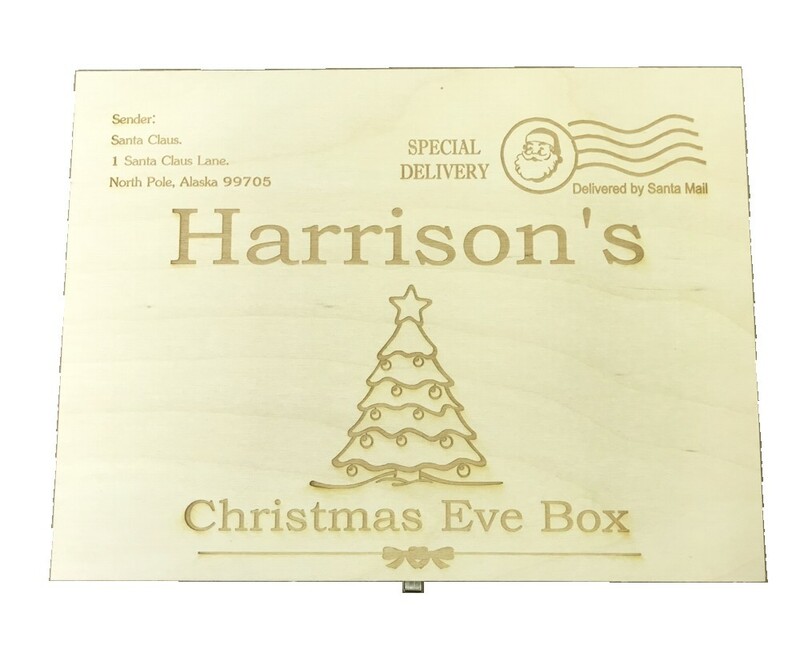 This great box is made from pine and is finished with a silver clasp and hinges. 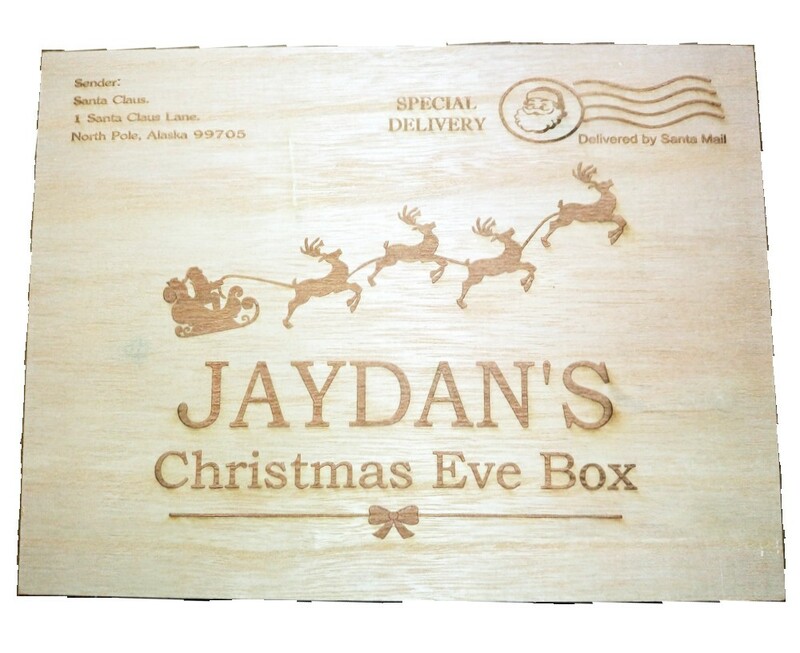 We have individual designs and one for the whole family. 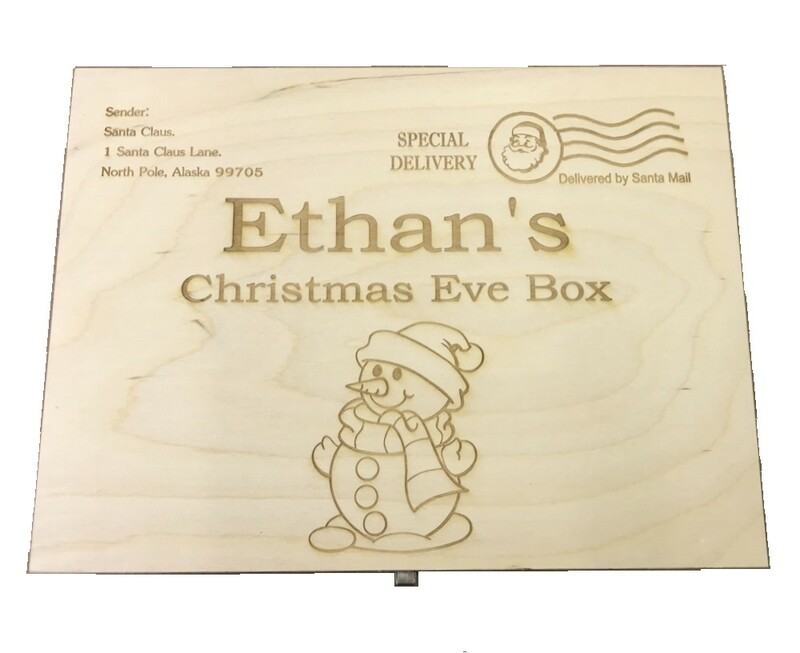 We have 9 great designs for you to choose from, all you need to do is to select your design, decide if you would like the unique postage marks engraved and tell us the name to be engraved. 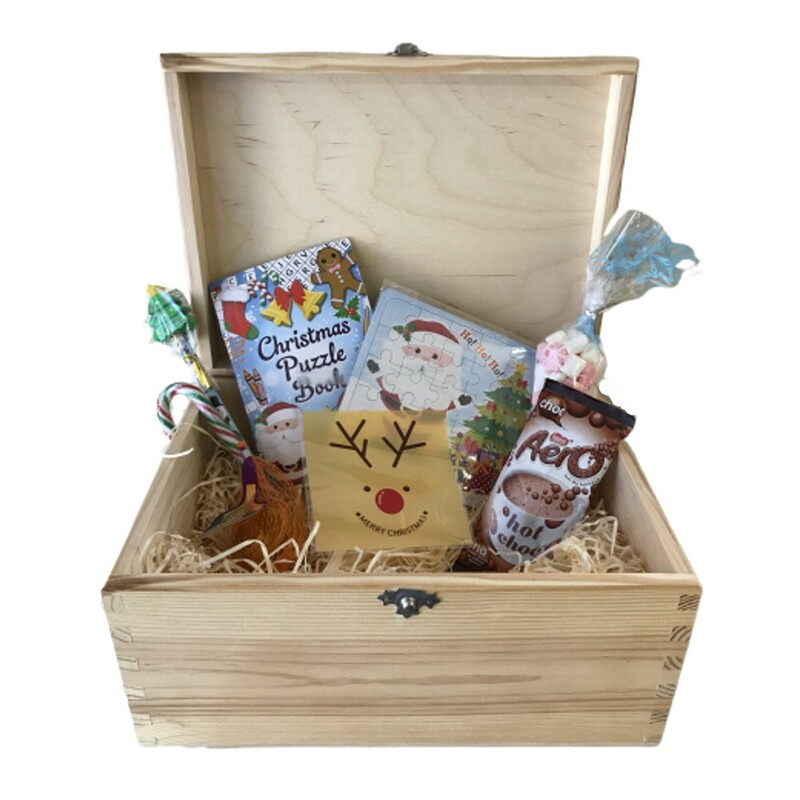 We will then work our magic to make your unique box!